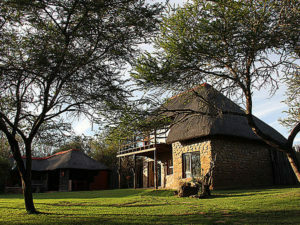 John and Isabel Sparks manage Manzikhanya Lodge. 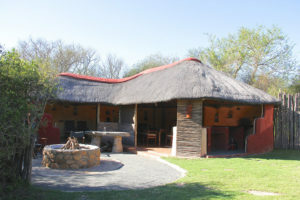 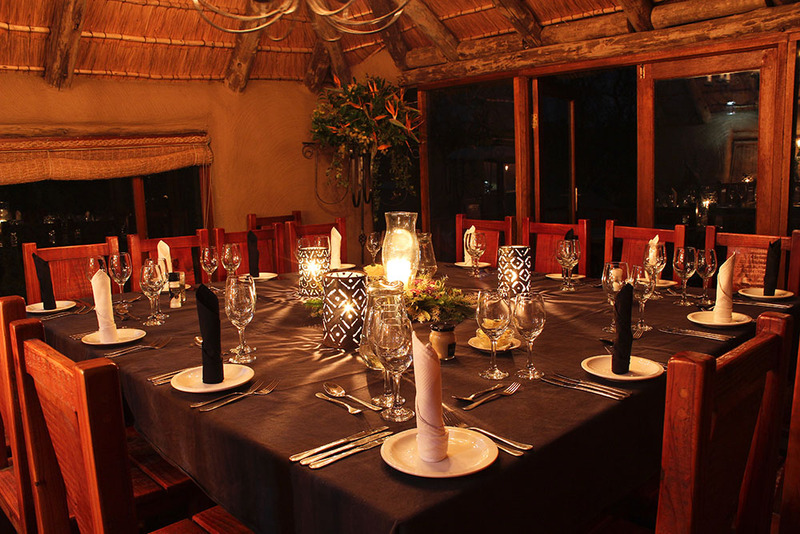 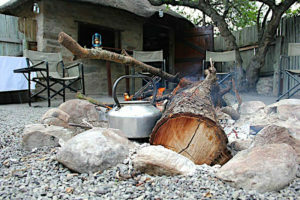 Manzikhanya is a thatched lodge set in the heart of the bushveld. 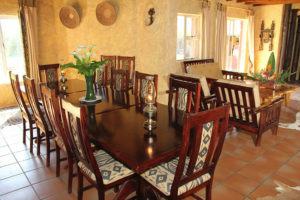 It consists of a central indoor lounge and both indoor & outdoor dining areas. 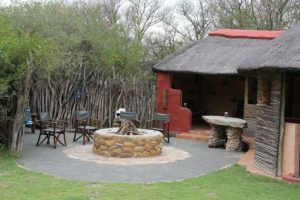 Guests are entertained either inside or around a large open fire, under the African sky, depending on the weather. 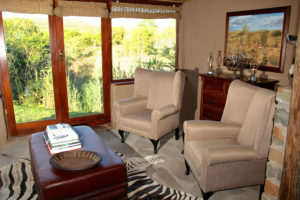 Separate en-suite cabins are situated a short distance from the central area, providing the guests with both privacy and convenience. 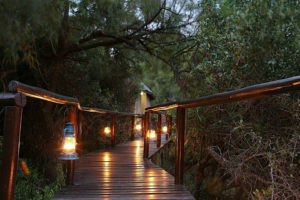 Lighting is battery and paraffin powered. Nxakwe is the Xhosa name for Warthog. 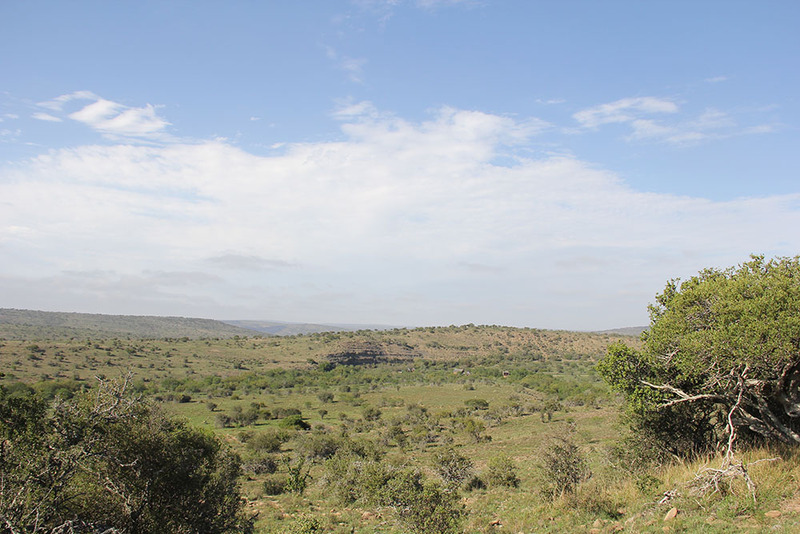 These entertaining creatures are found in plentiful numbers in this region. Nxakwe Lodge is run by the Danckwerts family. 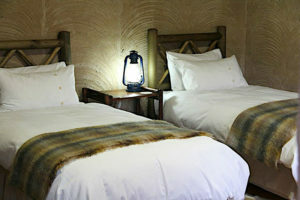 This is a true African style lodge where lighting is battery and paraffin powered. Nxakwe Lodge consists of a thatched double story dining/entertainment room and central lapa area, where a blazing open log fire mesmerizes you as drinks are served under the African night stars. 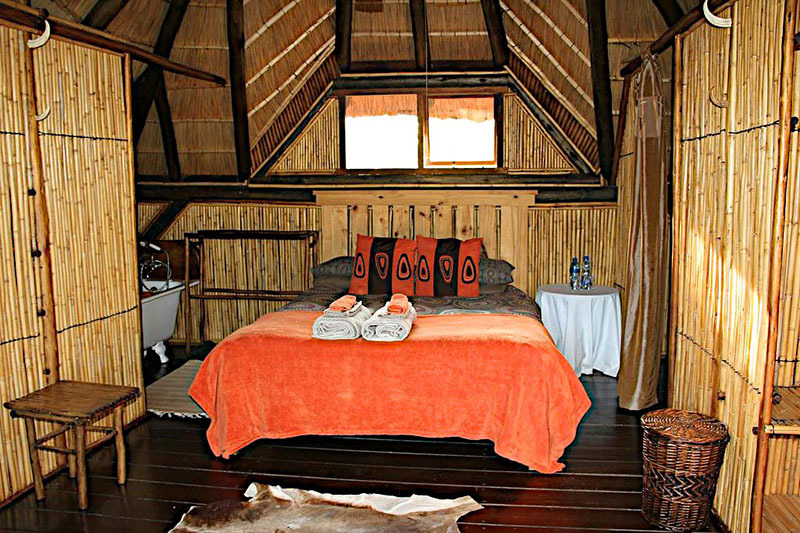 Sleeping quarters are thatched bungalows with en-suite bathrooms. 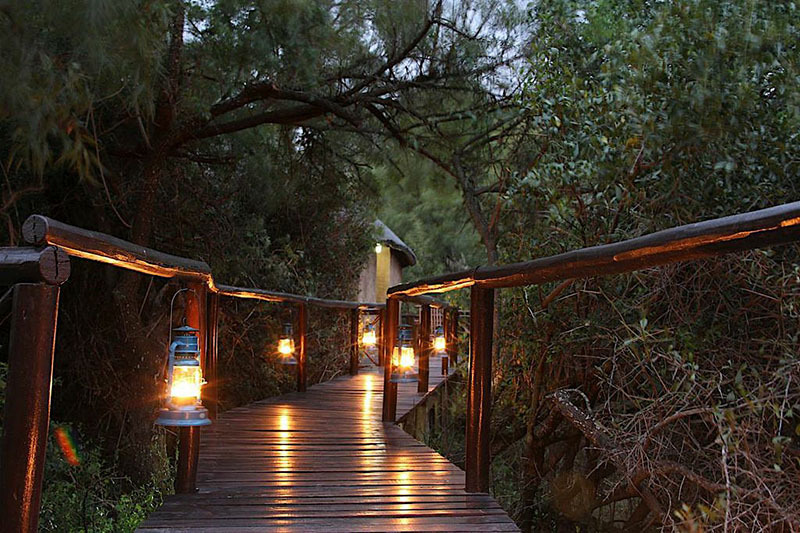 These bungalows are connected to each other and the central lapa area by wooden walkways. 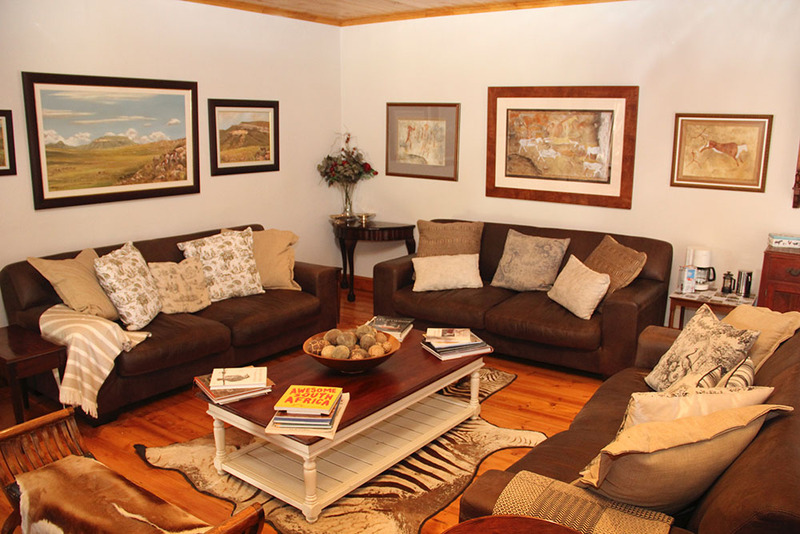 Buffelsfontein Lodge is a luxurious colonial style lodge set in the Stormberg Mountains. 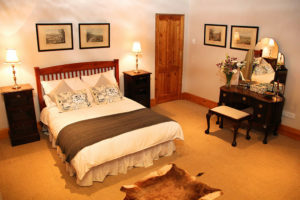 Steeped in history, it was once a post office and inn for weary travelers to rest their oxen and horses between the diamond and gold mines in the north and the docks in the south. 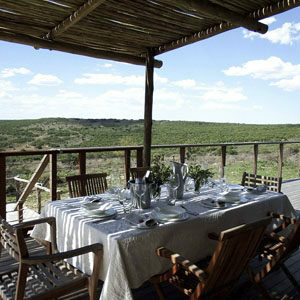 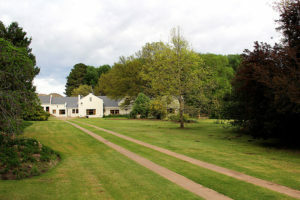 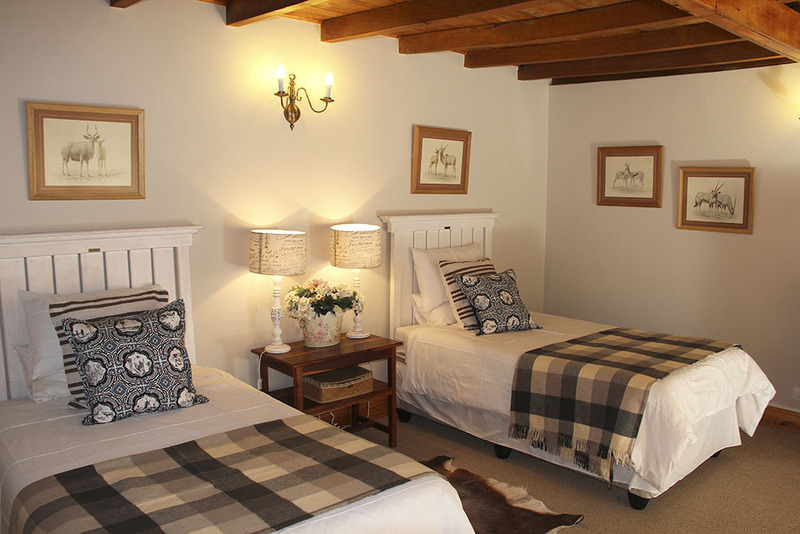 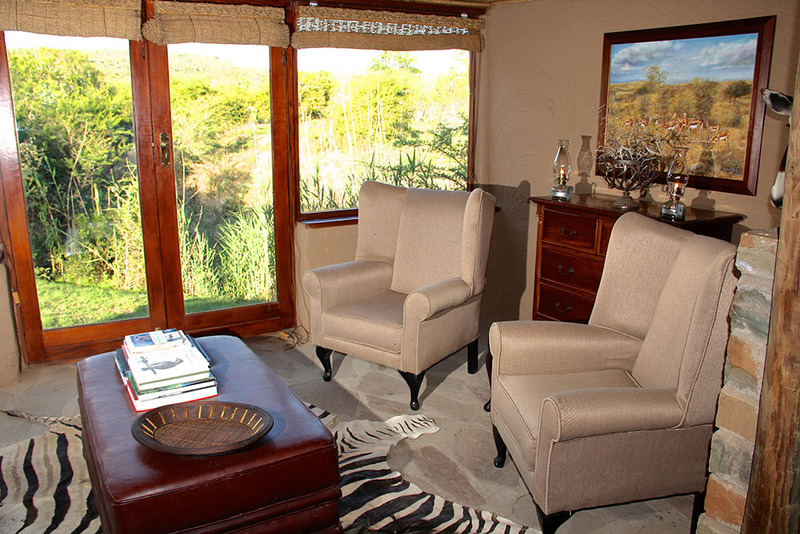 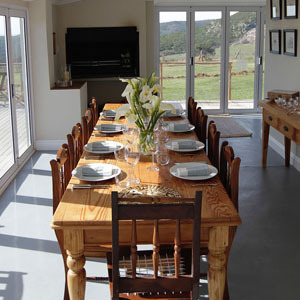 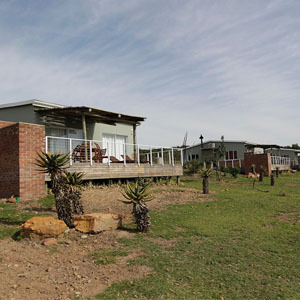 Buffelsfontein Lodge is owned and run by fifth generation Robbie and Angela Stretton. 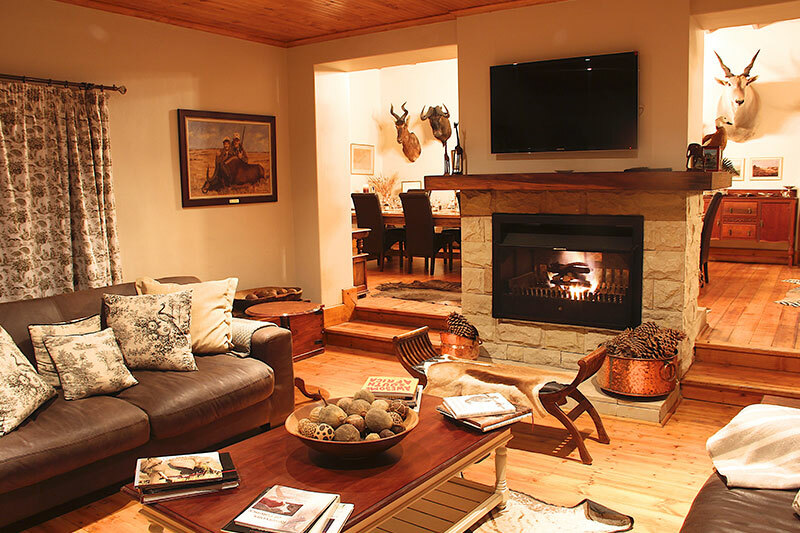 After a solid days shooting in the mountains, Buffelsfontein Lodge can be a welcome sight for the cold and weary hunter, where fond memories of the day’s shooting can be re-lived around the large stone fireplace in the entertainment room. 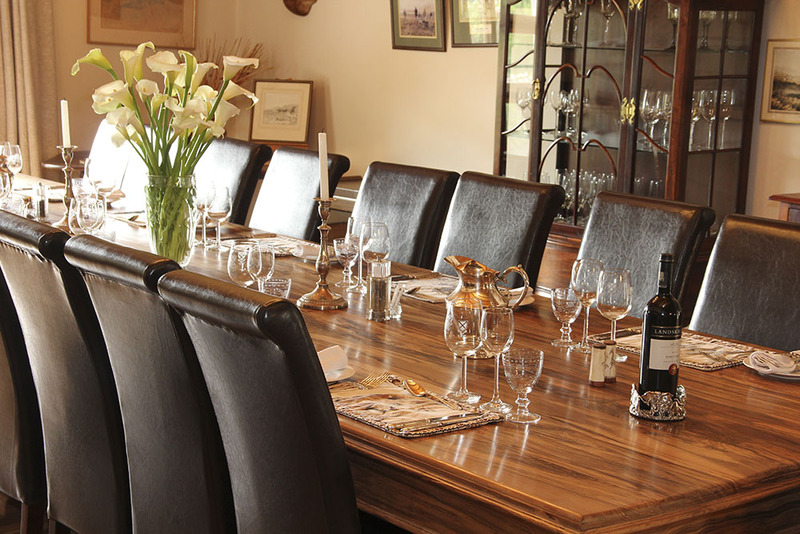 Hosting, fine wine and dinning is the order of the day. All this provides the necessary ingredients for a good evening’s entertainment. 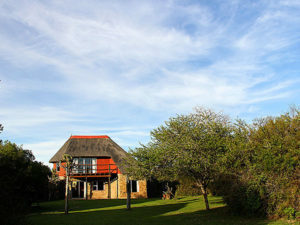 Fort Governor’s Estate offers a perfect blend of adventure and relaxation in the heart of the Eastern Cape. Situated just outside Grahamstown and less than an hour’s drive from the coast, we are ideally placed to offer our guests an authentic bush experience coupled with day trips to the surrounding areas. Our 3 lodges are set within an area of over 10 000ha of pristine natural veld, and offer a range of activities and accommodation to suit all travelers. 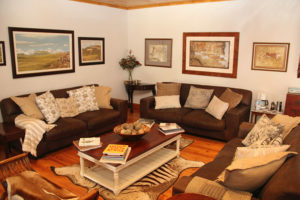 All three lodges were completely renovated and the new Fort Governor’s Estate was officially launched in 2016 offering both local and international guests the chance to experience our little piece of magic in the heart of the Eastern Cape. The Estate has now grown into a diverse reserve offering a range of habitats from rolling grassy plains to ravines, lush yellow-wood forests to succulent bush thicket which support a vast array of game species.